How To Boil Eggs Like A Pro For The Perfect Breakfast! How wonderful would it be to wake up to a wholesome and hearty breakfast, every single day! And if you too are an egg lover, a perfectly boiled egg can make all the difference to the rest of your day. So here’s a basic step-by-step guide on how to boil eggs like a pro. Add a little of bit of salt, a little bit of pepper, and lots of love to your mornings with this easy cooking lesson. Go on, you are egg-xcused! - Place your eggs in a saucepan full of water. - Sprinkle some salt as it prevents your eggs from breaking. - Cover the pan with a lid and let the eggs boil in water for 7-8 minutes. - Let the eggs cool in cold water and peel them. - Cut the eggs from the middle. 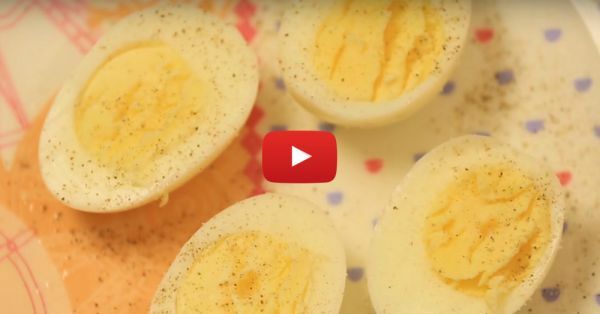 Sprinkle some salt and pepper and enjoy your perfectly boiled eggs! Now, don’t you forget to subscribe to POPxo Yum here.